These tips will help ensure your media arrives at PCS Data Recovery safe and sound, as quickly as possible. Remove and retain all miscellaneous hardware from the device or unit. Place the device inside protective material, and wrap it with a good layer of bubble wrap, making sure it doesn’t move around within the box (for hard drives). When shipping memory cards/USB Flash drives, you can simply use a bubble envelope. If shipping more than one device at once, make sure you wrap each unit separately with bubble wrap. Print and complete the authorization form(s) you downloaded or that was emailed to you, and include it with your package. Don’t forget to sign the form(s) and include as much information as possible! We recommend shipping via air service to minimize handling. Using a tracking number will also allow you to keep track of the shipment as it makes its way to us. You can download the authorization forms here. 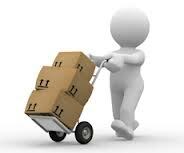 Regardless of what type of storage device you ship to us, protect it the best you can.